Aligning our thinking to your talent management objectives, we can support you with the planning and management of your international workforce. A comprehensive compilation of Indirect, Corporate, Individual and Social Security tax rates. A global survey of income tax, social security tax rates and tax legislation impacting expatriate employees. Whether you are sending employees on a multi-year expatriate assignment or on international business travel, proper tax planning, efficient compliance services, and technology tools can help your company operate efficiently and reduce assignment costs. In Kuwait’s generally tax-light environment, local business may not fully appreciate the complexity of tax regimes in other jurisdictions or how they impact their employees and themselves as employers which can have adverse consequences on their business. Similarly, foreign businesses and their employees entering Kuwait should be aware of local policies and regulations to ensure a smooth transition to Kuwait. With our experience and international presence, KPMG’s global mobility services (GMS) professionals help global companies better manage their international mobile workforce – by thinking beyond the present and beyond borders. Counselling services – Including arrival and departure counselling, we provide a one stop shop for assignees who are new to Kuwait. We provide a snapshot of Kuwait tax regime and general regulatory regime, and also answer queries that the assignees may have regarding Kuwait. We provide a list of dos, don’ts and mandatory procedures to be complied with before leaving Kuwait. For assignments to international markets outside Kuwait, we coordinate with colleagues in our global network of firms to arrange pre-arrival and post-departure consultations to ensure both assignees and employers have the necessary guidance to be compliant with the local regulations. Global mobility advisory services – We can assist your HR team in designing and implementing a global mobility program and provide inputs on issues that will impact an expatriate workforce. We can help you review your current programs, introduce tax approaches to address issues affecting your business, and give you straightforward answers on possible implications. Global coordinated compliance services – We act as your single point of contact to coordinate and manage the tax and regulatory compliance obligations of your assignees in the local country. We coordinate with our local country specialist teams to ensure that you and your employees have a seamless experience and are compliant with local regulations at all times. Tax residency certificates – We provide end-to-end services to foreign assignees wishing to access double tax treaty benefits by liaising with the Kuwait’s Ministry of Finance to obtain tax residency certificates assignees. Immigration services – For our clients in free trade zone we help obtain work visas work and residency permits and determine applicable visa categories for their employees. Given the dynamic nature of the immigration environment in the Kuwait, we ensure that our client have the most recent information on immigration procedures and help ensure an efficiently transition into Kuwait. 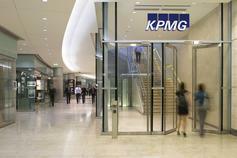 Leads the Tax & Corporate Services department for KPMG in Kuwait.